Otherwise known as Disgaea Refine. 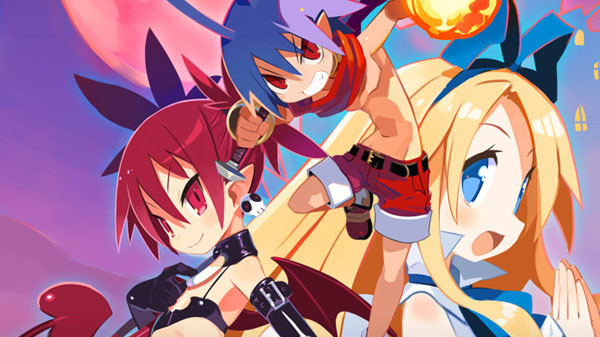 Disgaea 1 Complete, known as Disgaea Refine in Japan, is coming to PlayStation 4 and Switch in North America and Europe this fall for $49.99, publisher NIS America announced. The game will feature English and Japanese audio options, and English and French text options. A $99.99 limited edition containing a copy of the game, official soundtrack, official hardcover art book, enamel pin set (nine pins), orthodox Prinny coaster set, Noppai Etna flat mousepad, “Poster of Darkness” tear-resistant poster, “Netherworld Unbound” tear-resistant poster, Prinny cube plus, Rosen Queen certificate of authenticity, and Prinny pouch collector’s box is now available for pre-order on the NIS America Online Store (PlayStation 4, Switch). If you missed it earlier today, check out the first screenshots at the gallery..
Visit the official English website here.